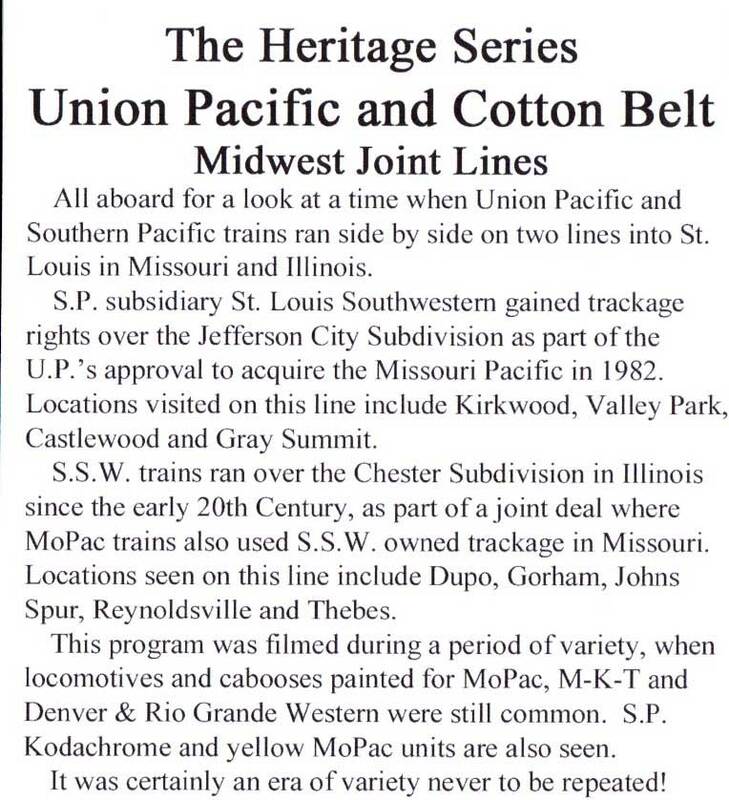 All aboard for a look at a time when Union Pacific and Southern Pacific trains ran side by side on two lines into St. Louis in Missouri and Illinois. S.P. subsidiary St. Louis Southwestern gained trackage rights over the Jefferson City Subdivision as part of the U.P. 's approval to acquire the Missouri Pacific in 1982. Locations visited on this line include Kirkwood, Valley Park, Castlewood and Gray Summit. S.S.W. trains ran over the Chester Subdivision in Illinois since the early 20th Century, as part of a joint deal where MoPac trains also used S.S.W. owned trackage in Missouri. Locations seen on this line include Dupo, Gorham, Johns Spur, Reynoldsville and Thebes. 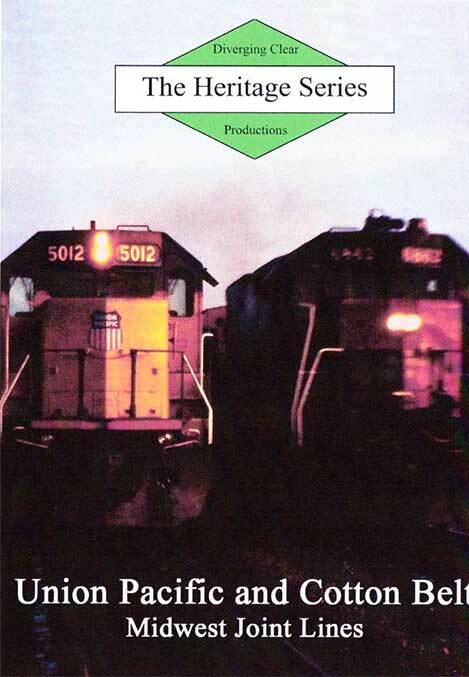 This program was filmed during a period of variety, when locomotives and cabooses painted for MoPac, M-K-T and Denver & Rio Grande Western were still common. S.P. Kodachrome and yellow MoPac units are also seen. It was certainly an era of variety never to be repeated!